If you are familiar with the predecessor ASUS RT-AC5300 router, then the new ASUS ROG Rapture GT-AC5300 router should look familiar to you. Both routers have identical dimensions, weight, and have the same boxy look with 8 large external antennas. 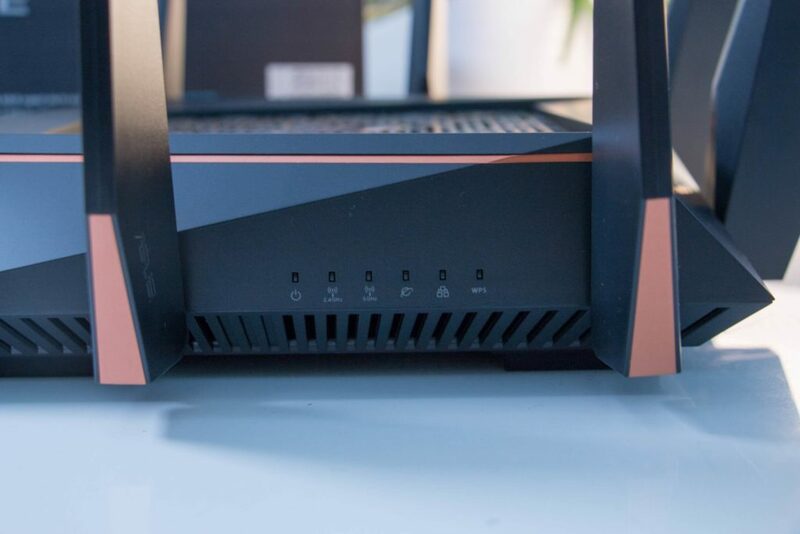 The spider router is back! 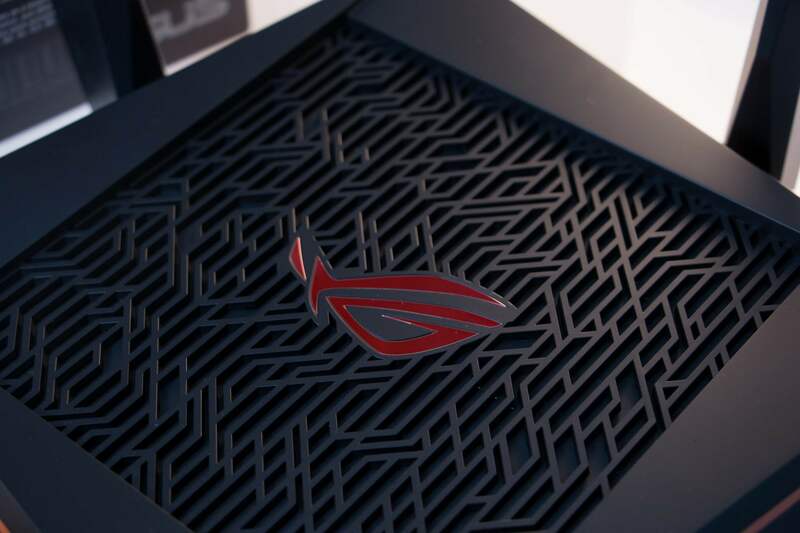 The looks of the ASUS ROG Rapture GT-AC5300 is extraordinary. Many people have described it as a spider and crab. 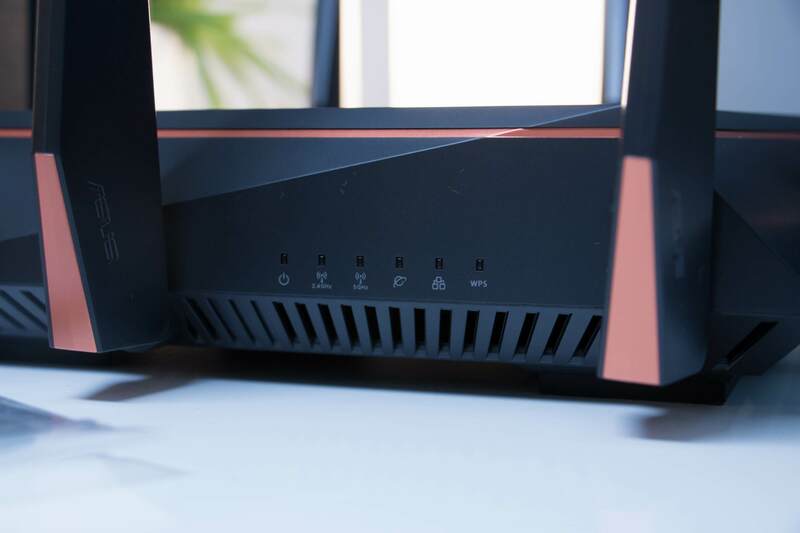 High-end routers should look different and edgy, and this design ticks those boxes for me. However, we will concede that it is really heavy and bulky. 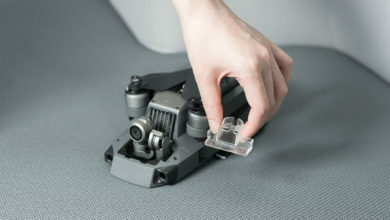 But all these neat features should fit in somewhere, and the processor it has defienetly need a solid cooling solution. Inside, the ASUS ROG Rapture GT-AC5300 has upgraded internals. The CPU has been upgraded and its one of the fastest we have seen in a router. 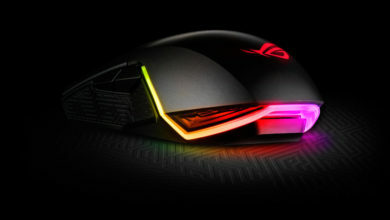 It is running a 64-bit Broadcom BCM49408 processor that is clocked at 1.8GHz. 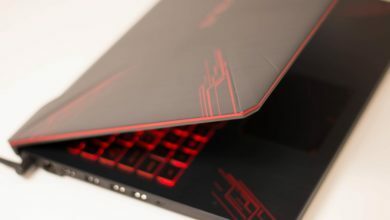 It also has a massive 1GB of RAM. 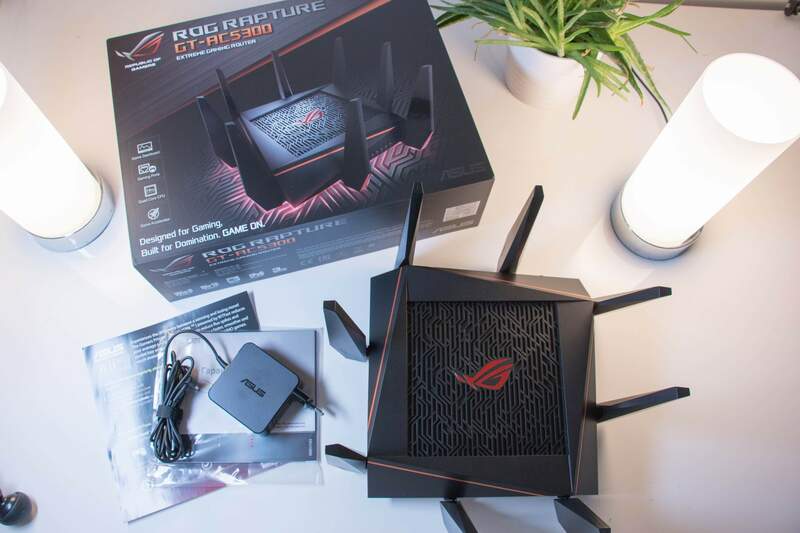 The ASUS ROG Rapture GT-AC5300 uses three BCM4366 radios for transmission which radios support 4×4 streams and also MU-MIMO. 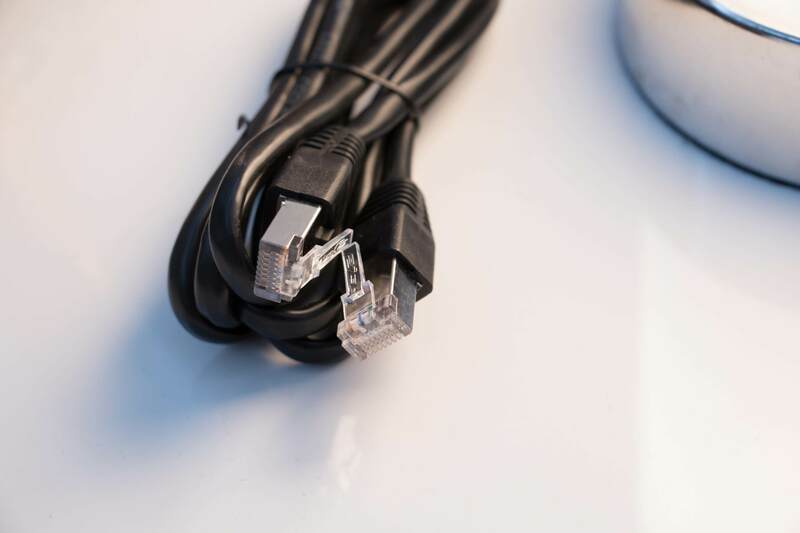 Rated speeds are as follows: 1,000Gbps on the 2.4GHz network and 2,167Mbps each on its two 5GHz networks. 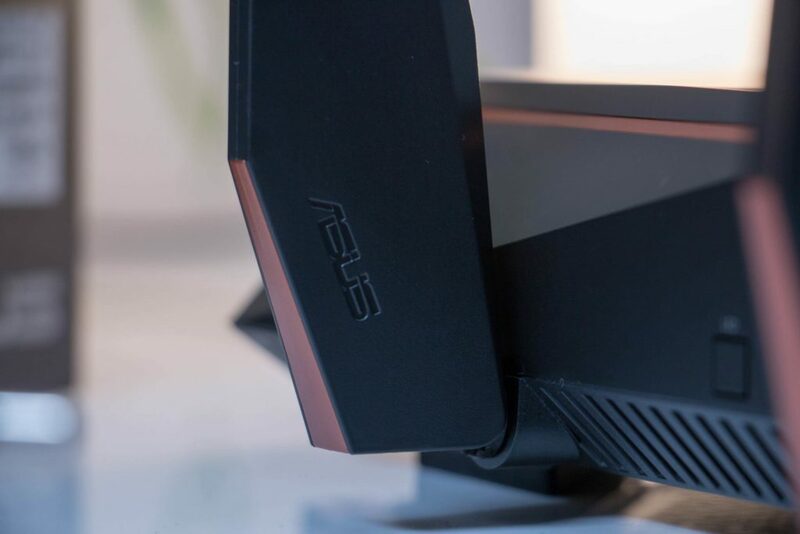 In keeping with today’s increasing connected households, the ASUS ROG Rapture GT-AC5300 comes with a single Gigabit Ethernet WAN port and 8 Gigabit Ethernet ports. Out of the 8 Gigabit Ethernet LAN ports, two are dedicated gaming LAN ports that are optimized and have top priority over all other traffic. 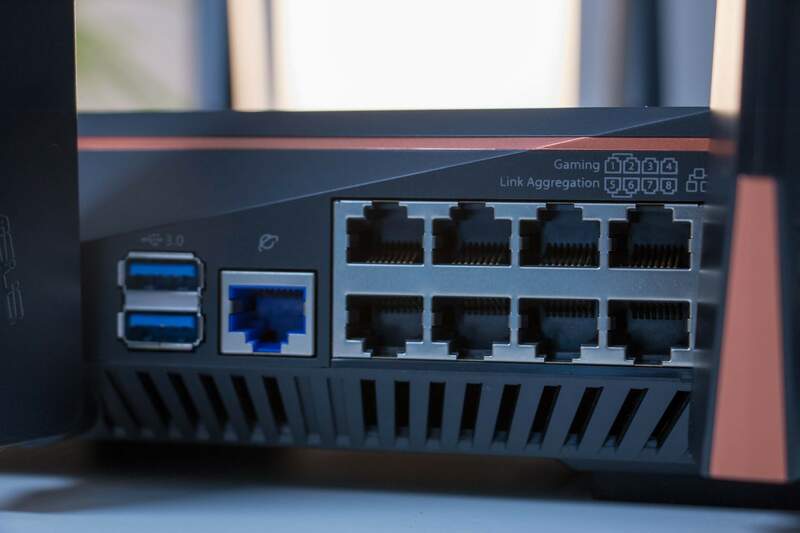 Apart from the gaming ports, there are another two LAN ports that support link aggregation, allowing users to combine them to create a single super-fast 2Gbps connection. 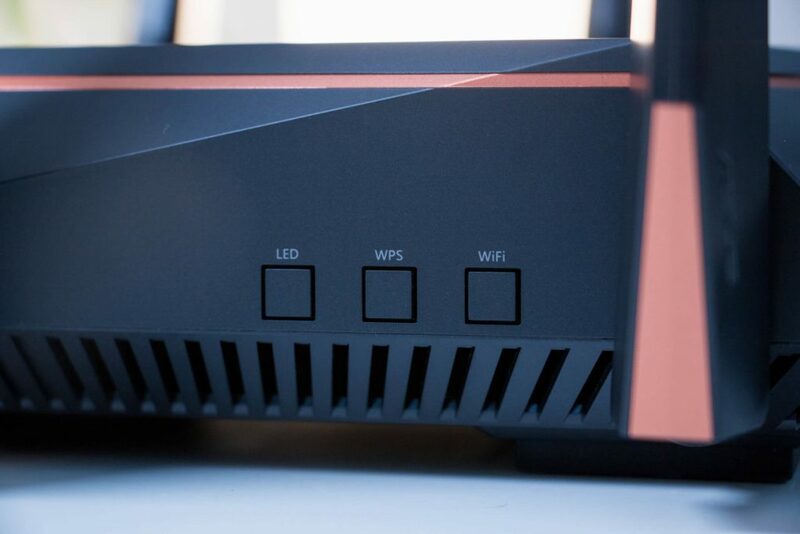 This is useful especially if you have a high-end NAS system connected to the router.